started pulling herself to a standing position. that second day, her second son started to get sick, followed by her three-year-old the following day. Rahel protected her against the chicken pox. worst cases he had ever seen. was given fluids and anti-viral medications and medication to reduce her fever. Pamela was very, very frightened. antibiotic ointment. It took many weeks for her to get anywhere near normal. 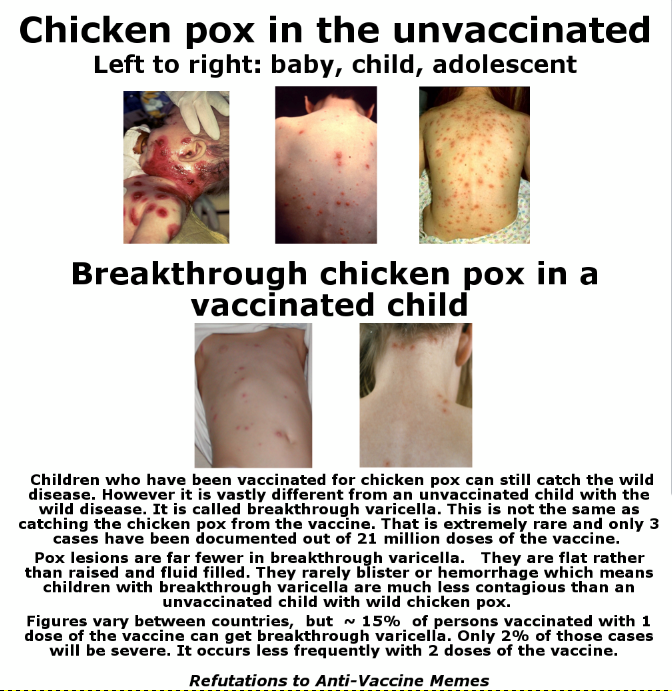 substantially lower than among unvaccinated children. prevent their kids suffering through something like this. Acknowledgements: I’m grateful to Pamela for sharing her story and to Alice Warning Wasney and Clara Obscura for reading and commenting on my draft. All errors are, of course, my own.